As my 2nd piece of art came to life, I began to feel a little more confident. I thought, IF I AM being guided by the Universe/God then it was my responsibility to Believe and act accordingly. Early on, back in the 80's, I was given a book which I devoured called "The Magic of Thinking Big" by David Schwartz. (I have decided to re-read it not) The title says it all. Sometimes we limit ourselves by thinking or believing small, especially when we are doing something out of our comfort zone. 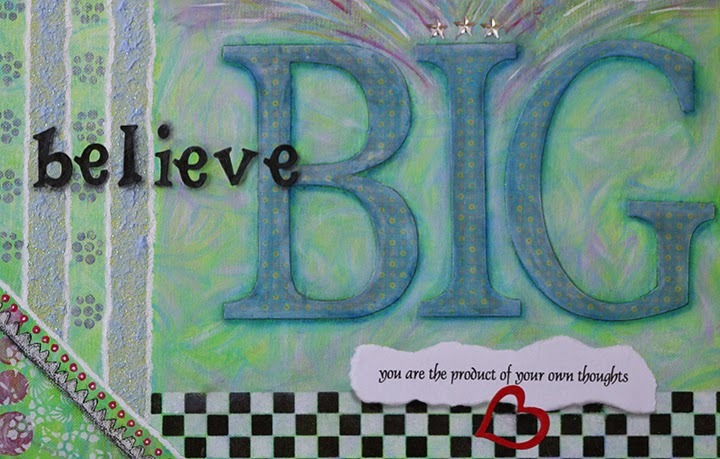 At the time this piece was created I was determined to believe BIG. I had no idea what I was doing but I knew I was in charge of my attitude. So... off I went. My belief was bolstered when I sold this piece within a week of creating it! HOPE TO SEE YOUR "VIRTUAL" SMILING FACE AGAIN! 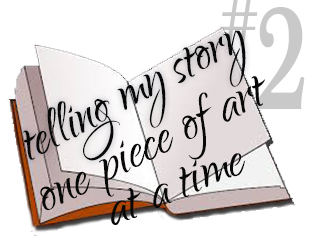 I'd LOVE to share your story.